Dr. Vivrette is a graduate of the University of California at Davis College of Veterinary Medicine. 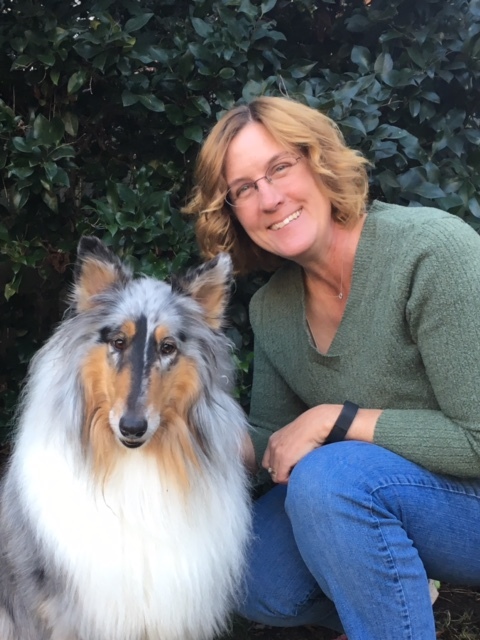 She completed an internship at Cornell and a medicine residency at UC Davis, and went on to be Board Certified in Veterinary Internal Medicine. 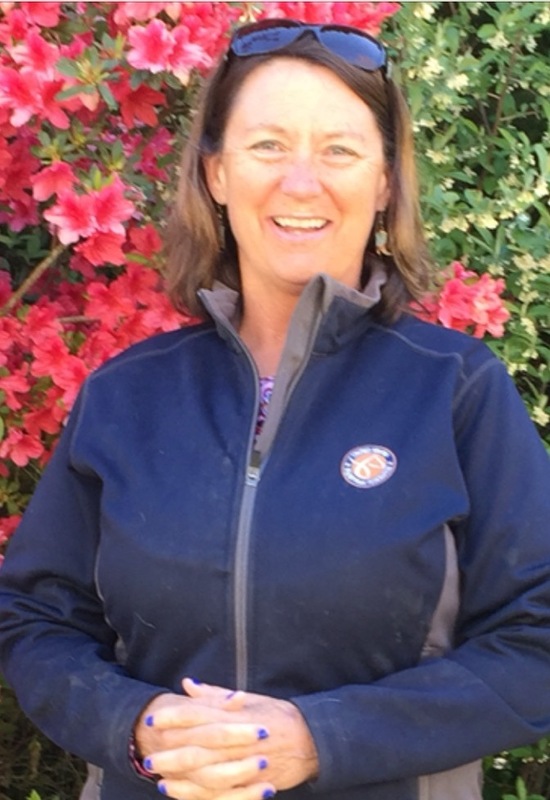 After a few years in equine private practice, Dr. Vivrette returned to UC Davis and completed a PhD in Comparative Pathology concentrating on equine reproduction. 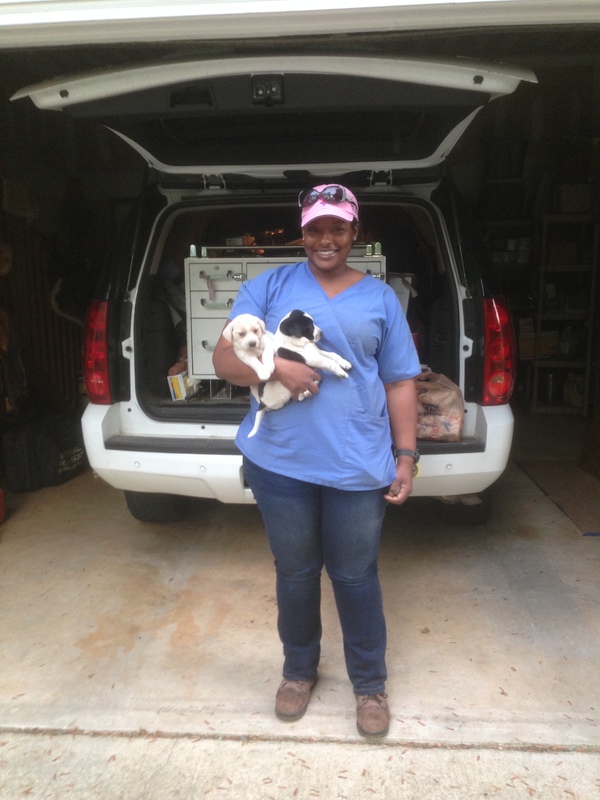 She moved to North Carolina in 1995 and was head of the Veterinary College's Field Service program until 2000. She received the Norden Distinguished Teaching Award and the North Carolina Horse Council Distinguished Service Award in 2000. Dr. Vivrette started Triangle Equine in 2001 to provide horses and horse owners in central North Carolina with outstanding care of performance and pleasure horses. She strives to include the horse owner, horse trainer and farrier as parts of the team to improve horse health and athletic performance. Her experience with both English and Western competition horses allows her to understand the problems with, and therapies available for, performance horses. She brings a special touch to equine practice with expertise in internal medicine, reproduction and preventive medicine. Dr. Vivrette is a FEI licensed veterinarian. This allows her to help you with horse show competition and medications rules. "I was raised in Northern California. My family moved to Central California on my 13th birthday. I was given one present – a brand new horse halter and lead rope. It was green. I stopped complaining about having to leave my friends behind. I got into the car – something wonderful was about to happen. Within a couple of months we purchased my first horse – a quarter horse mare that I named “Rita”. For several years my dad and I went to 4H gatherings, horse shows and gymkhanas. I remember when I won my first ribbon. It was 5th place in barrel racing. My dad and I hugged each other and cried with joy. Owning a horse and participating in 4H sparked my interest to become a veterinarian." Dr. Jennifer Patterson, a local native, grew up in Apex showing her horses on the local hunter circuit. She completed a bachelor’s degree in Biology in Lynchburg, Virginia. She then worked as an assistant trainer at a busy hunter/jumper barn in Virginia before returning to Raleigh to pursue and complete her veterinary degree at NCSU. 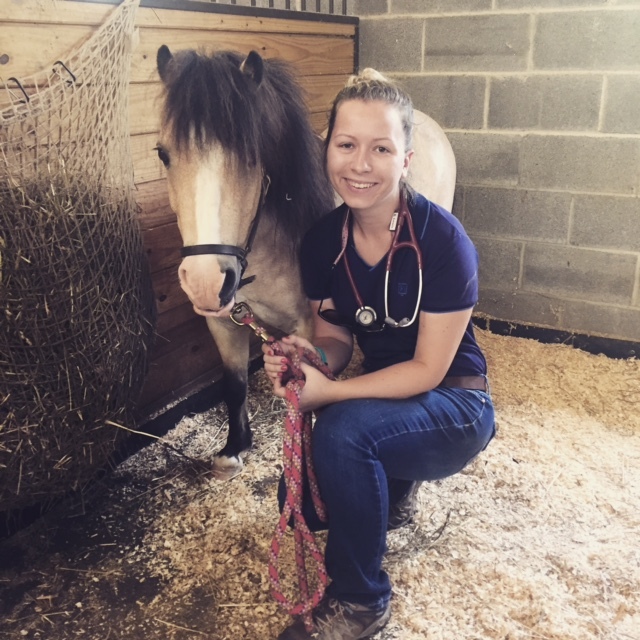 She then completed a highly competitive formal internship at NCSU where she gained experience in all aspects of equine medicine including emergency, surgery, and ophthalmology. Additionally, she played a major role in the education of the senior veterinary students. 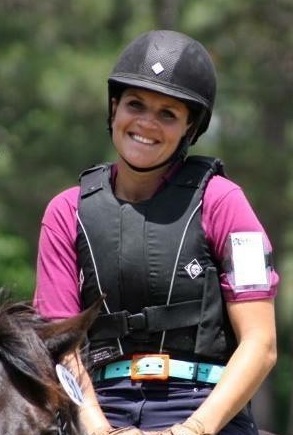 Many of you may have met Dr. Jenn when she cared for your horse at NCSU equine hospital. Also Dr. Jenn has worked with Dr. Sally Vivrette for 14 years! She was first a client of Triangle Equine and then a valued veterinary assistant, Dr. Sally’s right hand. She and Dr. Sally have similar philosophies about horse health and client education. Their combined horse experience and veterinary training will provide truly comprehensive care for you and your horse. "Being a horse owner myself, I understand the joy horses bring to our lives and how unique the bond is that we share with them. I love working with the many different players in a horses team to ensure they get the support they need to have successful careers and enjoy the best quality of life. It is an honor to be able to work with remarkable animals and the people that care for them." Lisa joined Triangle Equine in the summer of 2015, but has been a client and friend of Triangle Equine since 2001. She graduated from the University of California at Davis with a BS in Zoology. After a successful career as a pharmaceutical chemist, she took a short hiatus to raise a family. She is a life long equestrian competing in hunter/ jumpers, dressage, and a teeny tiny bit of eventing. She lives in Apex with her husband, two daughters, a fluffy collie, and a fat cat. "I love helping clients with all of their needs. I still can't believe I get to spend my day talking about horses." Genevieve grew up riding in central North Carolina. Her professional experience with horses includes management of a reputable boarding facility with a large lesson program. From there, she spent 8 years working in veterinary practice management in both an equine capacity and small animal capacity. She switched gears back to barn management, building a successful training business and lesson program tailored to the adult amateur and game junior riders in the low levels of eventing and dressage. Currently Genevieve continues to manage and care for 7 horses out of a small family farm in Chapel Hill while teaching a select few students. She is also completing her formal education in veterinary technology through Penn Foster’s online program. 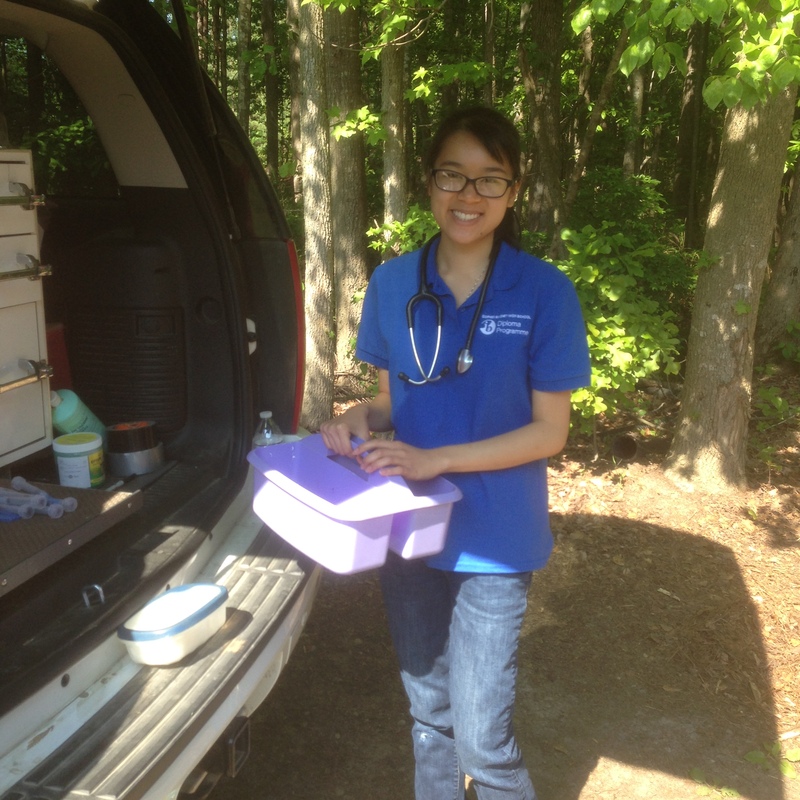 It is a joy for her to be back to working in the field with Triangle Equine as a Veterinary Assistant. She owns two retired geldings and a dog named Layla. 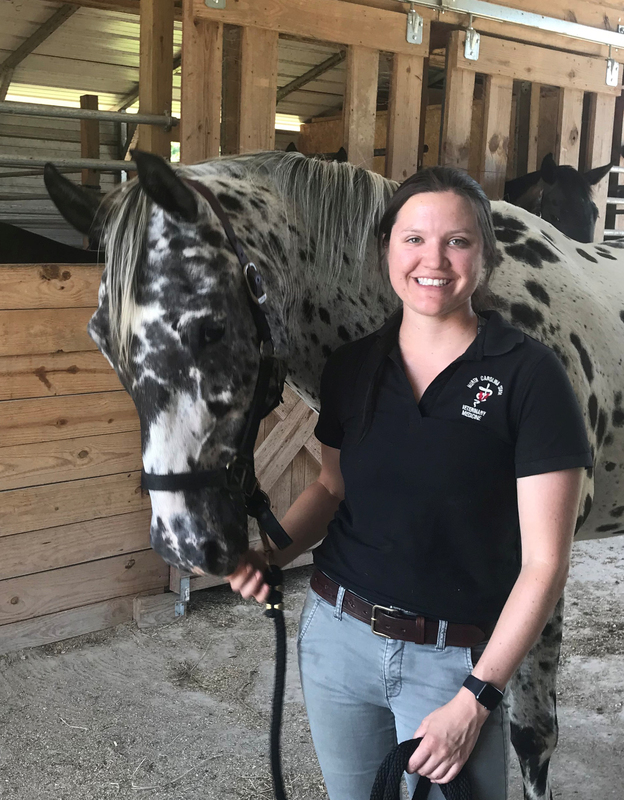 Beth recently graduated from NC State with a Bachelor's in Animal Science, and is currently attending NC State's College of Veterinary Medicine. Beth grew up working at various hunter/jumper barns in exchange for lessons and leases. She learned early on that with horses comes a lot of work! Beth began as a volunteer with Triangle Equine in 2013, and now works part-time in between classes as a very capable vet assistant. She has a very spoiled, but lovable dog named Timber. Triangle Equine offers opportunities for pre-vet and veterinary students to ride with the doctors and gain experience in equine practice. Students will see a large variety of cases and engage in discussions with the doctors about diseases and treatment options. Please email us at [email protected] to apply for our student program. "Dr. Vivrette,Thanks so much for all you do!! I really appreciated your help with my mare. You made the situation that much easier for me. Thanks for being a wonderful vet and a terrific person!"